As with my few previous posts, I’m bringing to light to special enterprising individuals, who start businesses that seek so much more than mere profit. The main purpose that is built into their business model is ultimately to “give back” and “make a difference”, in the communities and the environment they touch (or work in). This is the “social mission” that we don’t often see in a pure profit-oriented model of a business. Throughout history, such individuals have introduced solutions to seemingly intractable social problems, fundamentally improving the lives of countless individuals by changing the way critical systems operate. Florence Nightingale and Maria Montessori offer two prominent historical examples. Muhammad Yunus, recipient of the 2006 Nobel Peace Prize, is a more recent example. He began offering microloans to impoverished people in Bangladesh in 1976, thereby empowering them to become economically self-sufficient and proving the microcredit model that has now been replicated around the world. While social entrepreneurship isn’t a new concept, it has gained renewed currency in a world characterized by a growing divide between the haves and the have-nots. With this heightened visibility, social entrepreneurs at the forefront of the movement are distinguishing themselves from other social venture players in terms of ultimate impact. 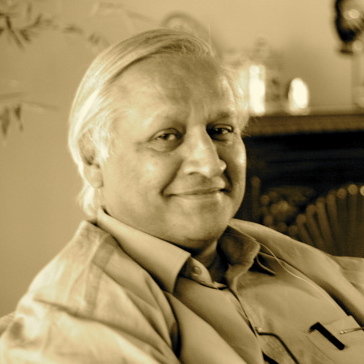 One example is social entrepreneur Bunker Roy, who created the Barefoot College in rural communities in India to train illiterate and semiliterate men and women, whose lack of educational qualifications keeps them mired in poverty. Today Barefoot College graduates include teachers, health workers and architects who are improving communities across India, including hundreds of “barefoot” engineers who have installed and maintain solar-electrification systems in over 500 villages, reaching over 100,000 people. Barefoot College students, “washouts, copouts, and dropouts,” as Roy fondly calls them, learn skills ranging from midwifery to computer programming, solar engineering to rainwater harvesting. There is no required curriculum, no deadline for graduation, no degree awarded. The school, which includes stipends for all students, is supported by the income generated by offering such services to villages all over India. It’s a scalable, community-based model of development managed from the bottom up by the poor themselves–a decentralized alternative to the Millennium Villages launched in Kenya and Ethiopia by Sachs’s Earth Institute at Columbia University. The big difference is, it costs at least $250,000 to set up each Millennium Village… In 2005 alone, with just $100,000, [Roy] brought 10 Afghans to India to train at the Barefoot College for six months and bought 120 solar units to power five villages. CAMFED, a simple grassroots level idea with a powerful impact. The key lies with the women. Another example is Ann Cotton, who launched the Campaign for Female Education (Camfed) in 1993 to ensure an education for young girls in Africa whose families cannot afford school fees. By establishing a sustainable model that provides community support for girls to go to school, start businesses and return to their communities as leaders, CAMFED has broken the cycle of poverty for hundreds of thousands of young women in Zimbabwe, Ghana, Zambia and Tanzania. Since 1993, nearly 700,000 children have benefited from CAMFED’s program across a network of some 3000 schools. Over 5,000 young women have received business training and start-up grants to establish their own rural enterprises. These and other social entrepreneurs are solution-minded pragmatists who are not afraid to tackle some of the world’s biggest problems. They recognize the extraordinary potential in the billions of poor people who inhabit the planet, and they are absolutely committed to helping them use their talents and abilities to achieve their potential. Social entrepreneurs use inspiration, creativity, courage, fortitude and, most importantly, direct action, to create a new reality – a new equilibrium – that results in enduring social benefit and a better future for everyone. This entry was posted in Social Entrepreneurship, Sustainable Development and tagged Poverty Alleviation & Eradication, Social Change, Social Entrepreneur, Sustainability. Bookmark the permalink.